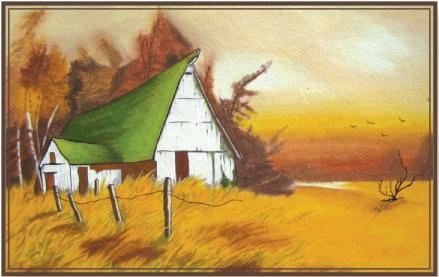 Golden Harvest is a wonderful sunset scene of an old farm-house in the wind-swept wheat fields. This regular sized A3 picture is pre-shaded on non-woven measuring 36 x 27cm. Requires colours: 1, 3, 14, 73, 76, 77, 84, 85.